Please note that that some of the products below contain affiliate links that will earn me commissions. But this is not some douchy internet marketing scam thing. I stand behind all of these products, as I have used them myself and wholeheartedly recommend the truly awesome people that are behind them. I would never suggest anything that I didn’t believe could help improve your small business. When you buy through one of my links, you’re helping to support the free content I produce here (which is very much appreciated!). If you have any questions at all about this, don’t hesitate to contact me. Aweber is the email marketing system used by top online marketing gurus. Why? It has the same features as the other email options out there, but it stands out in one key regard. Deliverability. The emails you send will get to your recipients. Period. I find emails from other providers will sometimes find their way into my junk folder. Even for email newsletters I’ve been getting for ages. Try AWeber out today! Mail Chimp is another good email marketing option. If you are on a really tight budget, and have a list less than 500 subscribers, Mail Chimp is free! Over 500, you’re looking at pretty much the same cost as Aweber. If you lack techie skills and want a simple website building option that allows for easy customization, Squarespace is a good small business option. At $15/month, it’s cost effective, there’s plenty of help in the online forums and their support is excellent. If you want to jazz up your WordPress based site so that it doesn’t look cookie cutter, here are some theme options: WooThemes (super easy), StudioPress (awesome SEO) and Thesis (the ability to do tons of customization, without developer skills, amen!). For this site I am using the Thesis theme. If you have pretty simple e-commerce needs with only a few products or services for sale, E-Junkie is a great option for small businesses. Starting at only $5 per month, it’s very affordable and offers a wide variety of options. The ability to create discount codes is what got me ~ I use e-junkie for my internet marketing packages. PayPal is another option for setting up buy buttons on your website if you have light e-commerce needs. There is absolutely no excuse for not having Google Analytics on your website. It’s FREE, will take you or your web guy/gal no time at all to implement, and the insight and information you get are pure gold. And even if you have no intention of looking at your analytics reports, PLEASE set it up anyways. That way it can merrily gather data until you are ready to use it (and trust me, one day you or someone you hire is gonna want it). Google Alerts is a great, FREE marketing service that alerts you to online activity surrounding keywords. See more details about how this marketing tool can work for you. Hootsuite is my tool of choice. So easy to use and helps you make Twitter so much more efficient for your small business. Did I mention it’s FREE? Are you backing up your computer? Doing so protects you in the event that your computer crashes. You can either use an external hard drive, or use an online solution. I personally use Mozy Online Backup and have been very happy with the service. DropBox is another good option. Need some help with branding your small business? 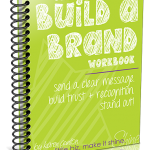 My friend Karen Gunton has put together a fabulous little e-book to help you build your brand – step by step instructions, easy to digest info paired with great insights and suggestions to get those creative juices flowing. Even the smallest biz needs a brand! Get your hands on this handy resource here. An important consideration when it comes to either branding your business or a new product is trademarking. Usually, small business owners opt for either doing a quick Google search (free, but very incomplete) or paying a lawyer (super expensive) to do their trademark research. TrademarkIntel™ is a nice middle ground. It’s an online software that allows you to do a very thorough trademark clearance research, for way less than you would pay a lawyer. A new take on successful product (or service) launches. 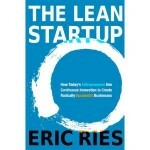 Eric Ries teaches you how to make better, faster business decisions. It’s a principled approach to developing a new product that’s different from the methods usually employed and advocated in product launches. It all comes down to figuring out what your customers want and what provides value to them. Get the book here. 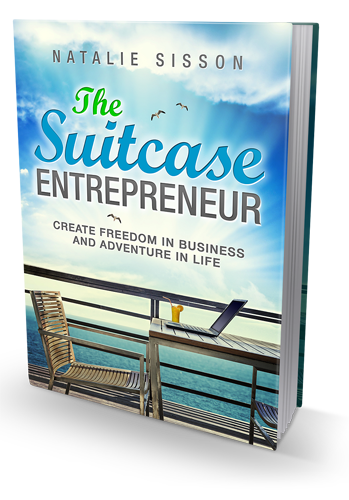 Embrace your freedom as an entrepreneur and hit the road with your business strapped to your back! From inspiration on living life on your own terms to practical how-to’s about going mobile, Natalie Sisson gets you ready to take your business all over the world. This is straight-up, no-nonsense advice from a Suitcase Entrepreneur herself. Get the book here. Good list you have here, Martina. For a good read about marketing and business in general, I recommend Seth Godin’s books – totally awesome and inspiring selection. Thanks for the reco Michelle! This list is so helpful. I’m a new small business owner and this list answered so many of my questions. Gd bless you Martina! I’m so glad to hear that Asante! Welcome to the wonderful world of entrepreneurship 🙂 Don’t hesitate to be in touch if you have any further questions! Cheers.